New Economy Project is working with allies to make NYC a hub for cooperative economics. NYC is home to a growing movement for cooperative economics, rooted in racial and economic justice and ecological sustainability. 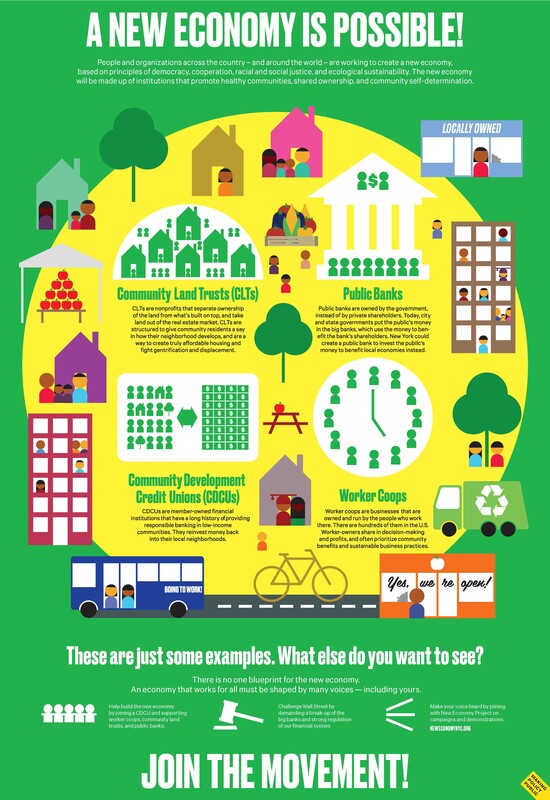 New Economy Project is working with allies to deepen coalitions and advance policies that support community land trusts; worker, housing, food and financial cooperatives; and other democratic, community-led initiatives.